We begin the day at your accommodation in the seaside town of Bicheno. Your guide will pick you up from your accommodation and set off for Friendly Beaches. 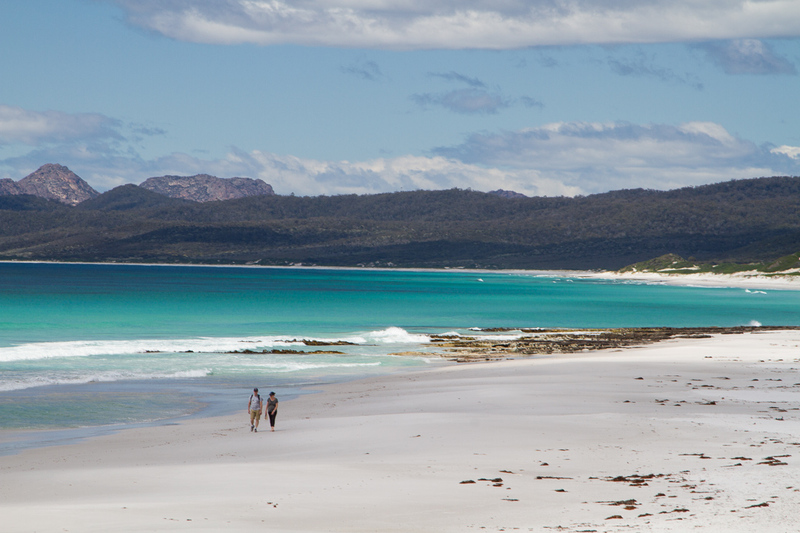 Part of Freycinet National Park, and a favourite of the locals, Friendly Beaches is a beautifully remote stretch of beach. As we stroll along, sand between our toes, there is a good chance we will have Friendly Beaches all to ourselves. The secluded nature of the walk only adds to the experience, offering striking intimacy despite the majestic surroundings. Leaving Friendly Beaches, we head straight for the heart of Freycinet National Park on a quest for Bluestone Bay and Whitewater Wall. 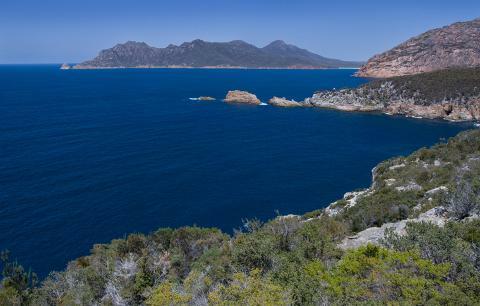 Located on the eastern side of the Freycinet Peninsula, Bluestone Bay is a fascinating inlet, completely out of character with the surrounding areas. 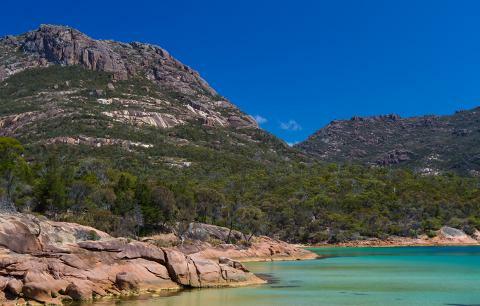 Backed by spectacular cliffs, and with its shore bathed in rounded pink and blue granite boulders, the contrast with the rest of Freycinet is stark and spectacular. A short trek from Bluestone Bay takes us on to the wondrous Whitewater Wall. Peer over the cliff’s edge to truly appreciate their magnitude as they dive deep into the rampant Tasman Sea. 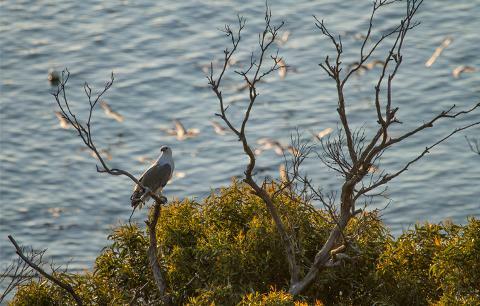 Be sure to keep an eye out for a White-Bellied Sea Eagle overhead, or a Whale slowly making its journey along the coast. Next up is another crowd favourite, the famous Cape Tourville. In a region rich in lookout points, this is one of the best. The walk up the winding boardwalk is simply stunning. You’ll be treated to an unparalleled, 360 degree view of the rugged Tasman coastline. With Carp Bay, Sleepy Bay and Lemon Rock all clearly visible, it really is an awe-inspiring sight. Best of all, those are just your views to the south! 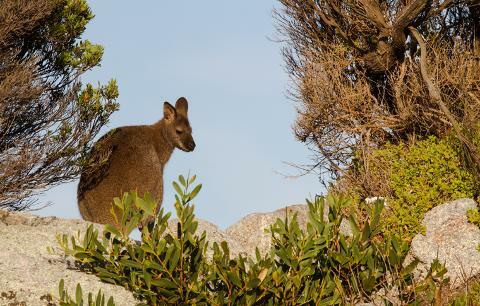 Take out the binoculars and turn north back towards Friendly Beaches, or over to The Nuggets islets to catch a glimpse of the Australian Fur Sealsbarking nearby. 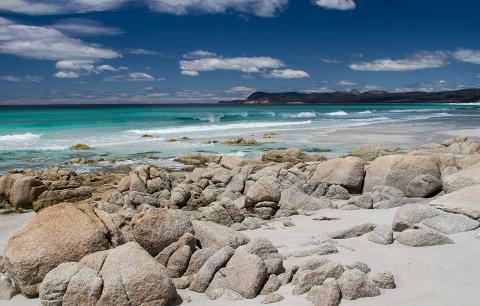 If you are looking for just one short walk in Freycinet, this would be the one to do! We will eventually have to drag you away from the majesty of Cape Tourville, but don’t fret; our next step is certainly worth it. Any place calling itself ‘Honeymoon Bay’ has a lot to live up to. Fortunately, this ‘bay within a bay’ does not disappoint. This will certainly be the most romantic spot we visit today. With fragrant wildflowers, towering eucalyptus trees and shallow, turquoise water, this is the ideal place for a quick swim and the perfect setting for a final photo to round off an unforgettable day. After what promises to be a memorable experience, we’ll head back to Bicheno and drop you at your accommodation.